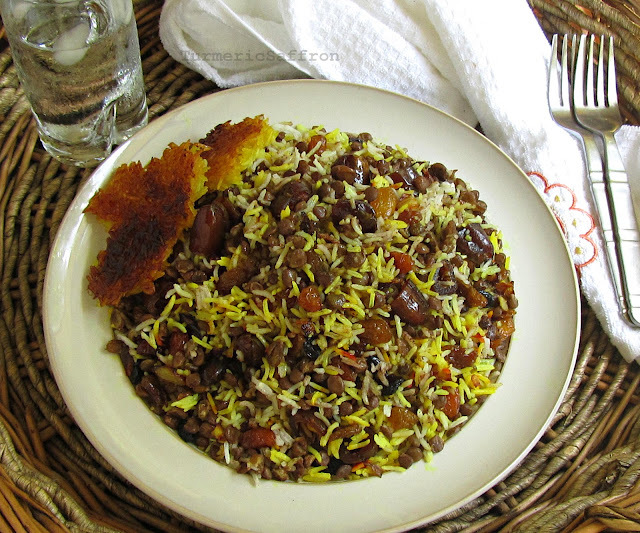 عدس پلو Adas polow is one of the traditional Iranian dishes that I grew up with. It's a great rice dish to prepare when you don't have a lot of time on your hands yet you want something delicious. 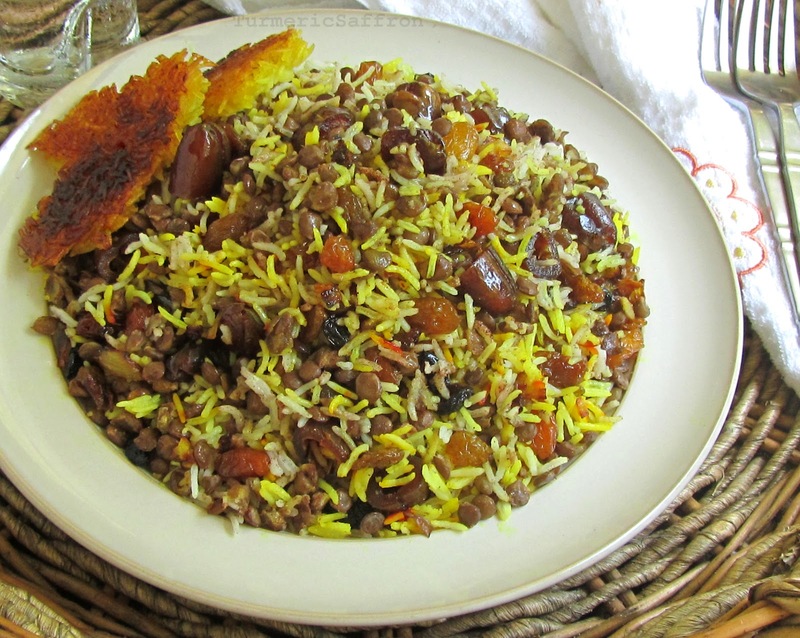 Rice with lentils is not usually served in formal gatherings. However, you can make it for your family, close relatives and friends. That's what I do. Adas polow can be served with cooked ground beef. You can serve the cooked ground beef over the rice, on the side of the rice or you can cook it together with rice and lentils in the same pot. Pick over the lentils and rinse a couple of times. Place in a pot, add about 2 1/2 cups of water, bring to a boil on medium-high heat. Reduce heat to medium-low, add 1/4 teaspoon salt, cover and cook for about 20 minutes or until the lentils are soft and there is little liquid is left in the pot. Set aside. Rinse rice with cool water, soak in 3-4 cups of water with 2 tablespoons of salt for a couple of hours. In a large non-stick pan, bring 4 cups of water to a rapid boil. Drain rice and pour into the boiling water. Bring water to back a boil for 10 minutes on medium-high heat. Test to see if the rice is ready. Rice should be firm in the center and soft on the outside. Drain and rinse with cool water. Wash the pot and return to heat. Add a couple of tablespoons of vegetable oil to the pot. With a large spatula, place a layer of rice into the pot, place a layer of cooked lentils, then another layer of rice, continue building it into a pyramid shape. Spread the liquid saffron over the rice. In order to release the steam make 2-3 holes in the rice with the bottom of the spatula. Cover and cook for 10 minutes on medium-high heat until rice is steaming, lower heat to medium-low and steam the rice for another 45-50 minutes. Serve rice on a large platter topped with raisins and dates. This dish is best served with mast o khiar and salad shirazi.